The annual Louisiana International Film Festival is dedicated to premiering stunning works in cinematography, music composition, software development, acting, engineering, and more. Showcasing award-winning national and international movies, LIFF gives fans and professionals access to amazing works and talent from around the world. Enjoy entertainment, engagement opportunities, and learning experiences while we screen innovative films from around the globe. The Baton Rouge Irish Film Festival was founded in 2009 by The Baton Rouge Irish Club. The Festival showcases Irish talent, promotes cultural diversity and encourages collaboration between individuals and businesses in Louisiana and Ireland. Our annual Festival features Irish short films, feature films, dancing, music, food, art, merriment and much more. The mission of the Baton Rouge Irish Club is to help support and keep alive the heritage that over 60 million Americans claim as theirs. Since the 1950s and 1960s, parades, grand dances, and large dinners celebrating St. Patrick’s Day have been a part of the social landscape of Baton Rouge. Today our city’s St. Patrick’s Day parade draws one of the largest attendances for any single event in Louisiana. 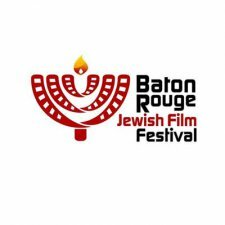 The Baton Rouge Irish Club hosts and participates in numerous cultural, educational, and social events throughout the year, and The Baton Rouge Irish Film Festival is the next natural step in that community outreach. 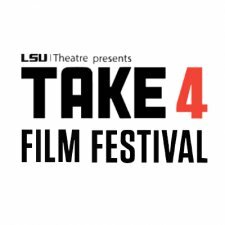 The Take 4 Film Festival exists to promote and celebrate the films of all undergraduate/graduate students and alumni from LSU, Baton Rouge Community College, and Southern University. The festival judges will award best Directing, Cinematography, Actress/Actor, Editor, and Writer, as well as an overall Audience award winner and Best Alumni Film. The New Orleans Film Festival celebrates cinema like only New Orleans can, with brass bands, second-line parades, gumbo, and Mardi Gras beads for every filmmaker. It’s a city known the world over for its hospitality—and it’s also a city that knows how to party. NOFF is no exception—but the festival never loses sight of what it’s celebrating: exciting new films from bold, passionate storytellers. Now in its 28th year, the New Orleans Film Festival has grown into an internationally respected annual event. It is one of the few film festivals that is Oscar-qualifying in all three Academy-accredited categories: Narrative Short, Documentary Short, and Animated Short—and it’s been recognized by MovieMaker Magazine as one of the “Top 50 Film Festivals Worth the Entry Fee” every year since 2012 (one of only two fests to receive that recognition for five straight years). This spring, filmmakers from all over the country came to Northwest Louisiana to making a short film between five and fifteen minutes long to compete for our $50,000 cash prize – the largest short film prize in the entire world. 127 film teams participated and of those films, twenty were selected to appear in competition at Prize Fest. These 20 films are known as the “Top 20” of the Louisiana Film Prize. 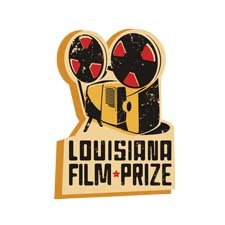 Of the Top 20, one will be crowned the winner of the 2017 Louisiana Film Prize and take home a grand prize of $50,000 cash.